Bangor is the largest city in the lower Penobscot Valley region. It sustains a population of around 33,000 residents. It was settled in the 1760s, gaining fame during the 19th century as “the lumber capital of the world”. Bangor is the commercial and cultural hub for eastern and northern Maine. It has an excellent network of highways, providing easy access into the city from other parts of the State. More than 300 businesses constitute the make-up of the infrastructure, with the Kenduskeag Stream flowing through the city center. 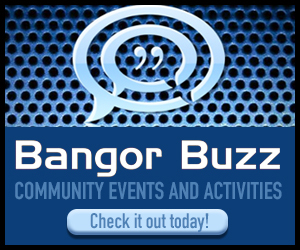 The municipally-owned Bass Park Complex annually brings to Bangor approximately 100,000 visitors yearly, offering such attractions as fairs, expositions, conventions and concerts by nationally known artists. The city also maintains the 27-hole municipal golf course. Bangor, the Queen City of Maine, has been a place of leadership, serving as home to Abraham Lincoln’s vice president Hannibal Hamlin; a spiritual compass, with one of the nation’s oldest seminaries still at its center; and a center of innovation – the toothpick and snowplow were invented here, and some of the finest sailing vessels in the world were crafted by Bangor shipbuilders. As early as the 1500s, when David Ingram sailed up the Penobscot River, explorers believed the area was extraordinary. Some thought Norumbega, the lost City of God, was hidden in the region’s lush, green forests. Samuel de Champlain actually attempted to find the riches, but settled on a lucrative fur trade with the Tarrantine tribe instead. In 1787 the people of Kenduskeag, as Bangor was once known, built their first meetinghouse. Shortly afterwards the inhabitants of Kenduskeag changed the name of their town’s name to “Sunbury,”. On Sept. 11th, 1787 they petitioned the Massachusetts legislature, but this was rejected by the legislature, before Oct. 6, 1788. The town obviously dismayed by this rejection sent Rev. Seth Noble to Boston with a new Petition of Incorporation, which was left blank until Rev. Noble could choose a name that would be accepted by the legislature in Boston. The Incorporation Petition of 1790 was written by Seth Noble and the name of BANGOR was approved February 25, 1791 by John Hancock, Governor of the Commonwealth of Mass. The tune Bangor was written by William Tans’ur in 1734 and became very popular during the Revolution. It was so popular that it was reported to have been played at the eulogy for President George Washington. The Queen City’s name may have been an accident of history, but in the forty years that followed, the city and its inhabitants grew and prospered thanks to hard work and a clear purpose. By the mid 1830s, Bangor had become known as the Lumber Capital of the World, with more than 300 saw mills running throughout the area. Lumberjacks harvested the northern Maine woods and river drivers sent logs down the Penobscot River to the Bangor mills. The mills processed the lumber and then sent it farther down the river to Winterport and Belfast, where it was shipped to Europe and other parts of the United States. By the late 1800s, Bangor was the busiest seaport on the East Coast, giving rise to many other industries as well. Foundries made stoves for the lumber camps and machinery to run the sawmills. The shoe industry provided the lumberjacks with boots, and the tool and die industry supplied the woodsmen. Shipbuilders made vessels to transport lumber to distant ports. Success brought many comforts to those who called Bangor home. By the turn of the century, “The Queen City” boasted some of the finest hotels and residential homes on the east coast, and Bangor still features many beautiful, historic structures, including the Thomas A. Hill House, The Isaac Farrar Mansion – rumored to be haunted by the ghost of a distraught governess – and St. John’s Catholic Church. As well-known a city as Boston, New York and Philadelphia, Bangor often hosted luminaries of the time, including literary figures Oscar Wilde and Henry David Thoreau. Today the city can also lay claim to author Stephen King and Pulitzer Prize-winning playwright Owen Davis. Like all great cities, Bangor also has some colorful figures in its past. In 1937, gangster Al Brady of Indiana, dubbed by the FBI as “Public Enemy No. 1,” was gunned down in the city’s center, and he now rests in an unmarked grave in Bangor’s historic Mount Hope Cemetery.